Multilingual Library is situated on the entrance floor at Pasila Library. It is open to all people. The collection has books for children, young people and adults in more than 80 languages. In addition to books, the collection has music recordings, movies, magazines, audiobooks and e-books. Multilingual Library sends library materials to all parts of Finland. 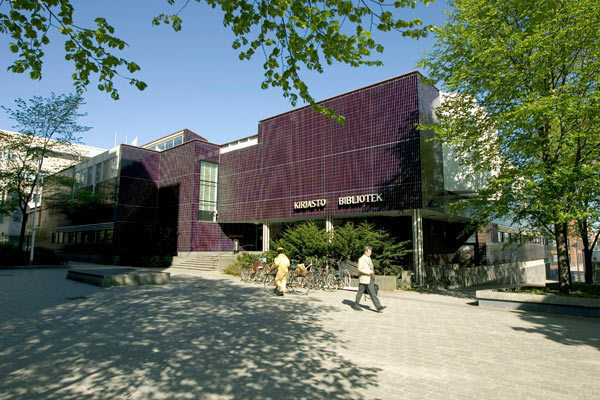 If you do not live in Helsinki or metropolitan area, you can go to the closest library and ask staff to order the items you want from the Multilingual Library. Welcome to Library! Are you looking for an informal and sociable way to improve your Finnish? Why not join the Finnish Language Café! Meeting point café brings together people from different countries and cultures. Meet new people and explore North African Amazigh culture with music, articrafts and tidbits. Welcome to chat in Finnish! Multilingual Library brochure is available electronically and in print in the following languages: Arabic, Somali, Persian, Dari, Kurdish, English, Swedish and Finnish. Quite a few customers and libraries have asked us for tip lists of literature in rare languages for different customer groups. Here is the first one. You can get forms assistant services in matters that concern e.g. housing matters, studies, job searching, government matters or livelihood.